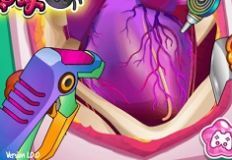 We are sure that you will enjoy playing this new games that we have for you, new and beautiful online games in which we are sure that you will have alot of fun playing the games that we have for you. 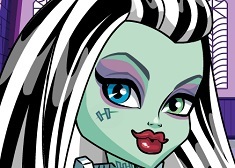 The new game that we have for you next is with Frankie Stein , one of the characters from the Monster High serie. The new game that we have for you si a very beautiful online game in which we are sure that you will have alot of fun playing with some of your favourite characters from the serie. 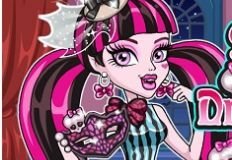 Frankie Stein wants to be a fashion designer for her own and she wants to create a beautiful dress in which she will ask for your help in order to finish it in time and to make is a wonderfull dress. In the game you will have al the neccesaty instructions you need and you will make all the important decisions such as chosing the dress by parts, the model of the dress, and to make it. 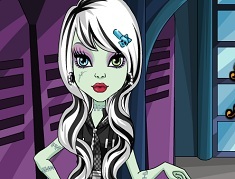 We are sure that you will love to play alot of fun games and we invite you to join us and try it , here on games-kids.com, the best websitewith free games for girls !